Cobblestone is a building block that is obtained by mining stone. It is also used in many crafting recipes. When cobblestone is mined with a pickaxe, it drops itself. 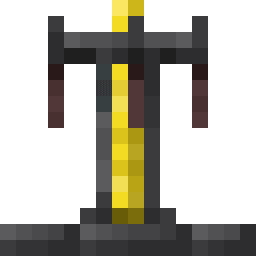 When stone is mined with a pickaxe , it drops cobblestone. Cobblestone spawns naturally in ruins, dungeon, and skyhold mob spawner rooms. Cobblestone can be found in 21.8% of loot chests in stacks of 1-15. Liquids reacting together to create cobblestone makes it a renewable resource. When acid has water next to it, it turns into cobblestone. When flowing lava has water next to it, it turns into cobblestone. Cobblestone can be crafted back from its backdrop. Cobblestone is a strong and very basic building material. It is fire-proof, which means it could be a good block for building in the nether. It can be made into tools. It can also be smelted to get smooth stone. Tools can be made using cobblestone. These tools are more durable than wooden tools however less durable than iron tools. Furnaces are made the same way as chests, but with cobblestone instead. The brewing stand, used to brew potions, is crafted using three pieces of cobblestone. To craft moss stone you need to surround a piece of cobblestone with moss in a crafting table. Cobblestone is also used in various redstone related crafting recipes. Cobblestone can also be crafted into stairs. 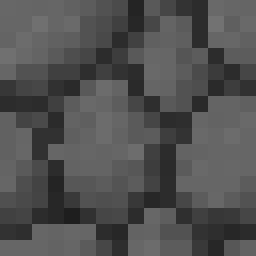 Cobblestone can also be crafted into slabs. Cobblestone can also be crafted into its backdrop. Cobblestone can be smelted to create stone. 8 Make an Furnace. Make an furnace. The tools crafted from cobblestone are called "stone tools" and not "cobblestone tools". This page was last edited on 2 March 2019, at 09:41.